Flesh and Blood: How far would someone go to maintain their standard of living? As far as murdering their children to relieve themselves of the financial burden? Death Metal: The band’s lyrics were peppered with references to Satanic sacrifice. For one of its members, that would prove to be a revelation of his own bloody end. Music and Murder: The little girl was a prodigy on the accordion and her teacher promised that she could make her a star. But should anyone really have to die for their art? 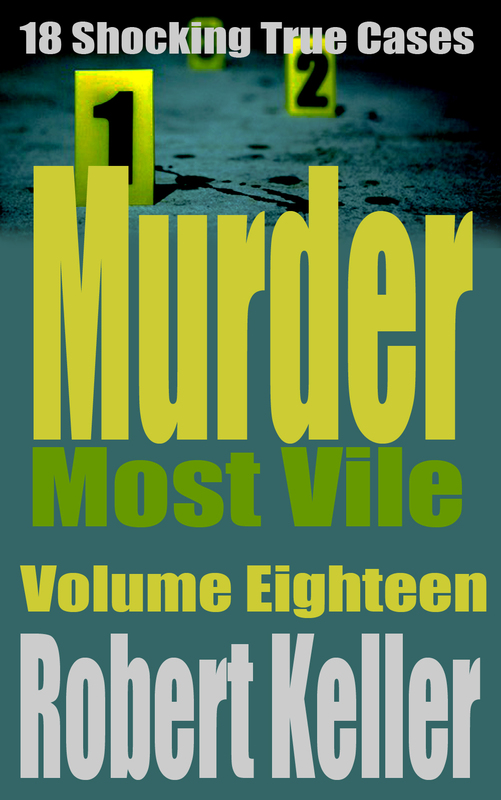 Murder, Miami Style: After living the high life in Florida, Joyce wasn’t about to walk away from her marriage a broke divorcee. Wealthy widow was more her style. Warning! May Cause Death: Would you swallow a vitamin pill that you received anonymously in the mail? John Kmetz did. To him detriment. Bus Ride to Hell: When passengers aboard a Greyhound bus are awakened by the screams of one of their fellow travelers, they have no idea of the horror that is about to unfold. Death Follows: Meet Robert Durst, millionaire property developer, cross-dresser, shoplifter, serial killer. It is a highly controversial case, one that continues to provoke debate decades after a young mother was sent to death row for the savage murders of her children. Did Darlie Routier really take a butcher’s knife and plunge it repeatedly into the chests of 6-year-old Devon and 5-year-old Damon? The evidence suggests that she did and that she was rightly condemned to death for her terrible crime. And yet, there are still those who believe in Darlie’s innocence, pointing to evidence that the police overlooked during the original investigation. Why, for example, did investigators ignore a bloody fingerprint left on a kitchen counter? Why did they dismiss a bloodstained sock found 75 yards from the crime scene on a trajectory that a fleeing intruder might have taken? Why did they fail to consider the bruises on the young woman’s arms? The truth is that we don’t know the answers to these questions. We know only that two little boys were savagely slain and that there is more than enough evidence to support the notion that their mother was responsible. Or maybe not. You decide. Doris Trammell, the night dispatcher for the Rowlett Police Department, had enjoyed a relatively peaceful shift. That was not unusual. The city of Rowlett, an upscale enclave to the northeast of Dallas, Texas, is a quiet place. Serious crime is a rarity here, or at least it was until that 911 call came in during the early hours of Thursday, June 6, 1996. The caller was a woman and she was hysterical. Trammell, of course, had been trained to deal with these situations. She glanced briefly at her computer clock which read 2:31 a.m. Then she punched the main police line and instructed units to standby for an emergency involving women and children. She then returned to her caller, entreating the woman to calm down and provide her name and address. The caller, however, wasn’t listening. “My boys,” she wailed. “Oh my God, my babies are dying!" “Ma'am, please calm down and tell me what happened,” the dispatcher repeated, keeping her eye on her computer screen as the caller ID software performed its magic. In the next moment a name and address popped up. Darin and Darlie Routier, 5801 Eagle Drive, Dalrock Heights. Trammell knew the area well. It was probably the most affluent neighborhood in town. She immediately passed the address on to emergency responders, sending an ambulance and police officers racing to the scene. The first to arrive was patrolman David Waddell and he knew immediately that this wasy something big. Waddell had barely entered the residence when he encountered a woman in a blood spattered nightgown, sobbing hysterically and babbling something he couldn’t understand. 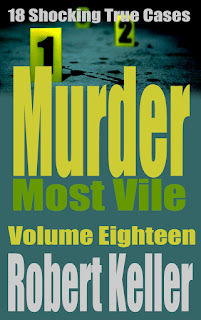 Looking past her into the lounge he saw what appeared to be the bodies of two small children, lying on the carpet, their clothes soaked with fresh blood. Officer Waddell rushed towards them, fell to his knees and quickly established that one of the boys had stopped breathing, while the other was drawing harsh, gurgling breaths. Judging by the amount of blood, both had been seriously injured. Waddell had a call to make and he made it instinctively. Instructing the mother to fetch towels to staunch the wounds, he began giving CPR to the boy who had stopped breathing. The mother, meanwhile, continued yelling, saying that the intruder had fled into the garage and might still be in the house. She ignored all instructions given by Waddell. But Waddell, at least, had help by now. Police Sergeant Matthew Walling had arrived, along with paramedics Jack Kolbye and Brian Koschak. The EMTs immediately got to work, attempting to stop the bleeding and resuscitate the children. While they were so engaged, Waddell and Walling went to investigate the householder’s assertion that the assailant had fled into the garage. Following a trail of blood through the kitchen and an entertainment room, they entered the garage with their weapons drawn and threw on the light switch ready for anything. But the space was empty. If the attacker had fled this way, he’d managed to escape, possibly through a side window, where the screen had been slashed. Or perhaps he was elsewhere in the house. The officers conducted a room-by-room search but found no stranger in hiding. They then returned to the kitchen where they’d spotted the possible murder weapon, a bloodied butcher knife carelessly cast aside on a countertop. They noticed something else too, something curious. The counter top was liberally smeared with blood but the sink was spotless and appeared to have been recently rinsed out. By now, other police officers and medical personnel had descended on the house. In the street outside, the sweep of blue and red police lights threw splashes of color while officers strung up crime scene tape to keep inquisitive neighbors at bay. Inside, Sgt. Walling had finally managed to calm the distraught mother, now identified as Mrs. Darlie Routier. And he’d been able to glean from her a version of what had happened. It was a story she’d repeat numerous times over the days that followed, sometimes with embellishments and conflicting details. According to Mrs. Routier, she had been downstairs with her two older sons, having fallen asleep in front of the television. Her husband, Darin, was upstairs in the master bedroom with their youngest, 7-month-old Drake. She’d woken with a man pinning her to the couch and had immediately started fighting and screaming, causing the intruder to flee. She’d then given chase but had just reached the kitchen when she decided to go back and check on her sons. It was only then that she realized they’d been stabbed. By then, her screams had awakened her husband and he’d come running downstairs. But it was too late, the intruder had already fled, leaving the two boys grievously injured. More than grievously, as it turned out. Each of the boys had suffered two vicious stab wounds to the chest, thrusts that had missed the heart but had shredded lungs and severed vital arteries. Devon, 6, was pronounced dead at the scene while his younger brother, Damon, was critical. He was rushed to Baylor Medical Center but it was too late. Damon Routier was dead on arrival. Baylor Center for treatment of her injuries. By now, the case had been assigned to veteran Homicide Detective Jimmy Patterson and his partner, Chris Frosch. Patterson soon had reason to suspect that the story told by Darlie Routier was somewhat shy of the truth. Patterson did indeed think that that was odd. But he’d also been in the job long enough to know that people respond differently in times of tragedy and crisis. Still that was only the first of the anomalies he’d encounter that night. The next was the slashed screen over the window in the garage. Mrs. Routier had suggested that the killer had entered and exited the home in this way but that just didn’t stack up. The screen was of the type that could be easily clipped from its frame so why slash it? And what had been used to make the cut? It certainly wasn’t the murder weapon since the killer had only gained access to that once he was inside the house. That meant he must have arrived carrying a knife. Why then use a different blade to commit the murders? Why leave it behind with potential fingerprints? That wasn’t all that bothered Patterson about the killer’s supposed escape route. After committing the murders, he would have been covered in blood and would undoubtedly have deposited some of it on the wall and on the screen as he fled. And yet, the Crime Scene Unit had found not a trace. A K-9 team had also tried to pick up a trail starting from the killer’s alleged exit and had come up empty. The only conclusion that Patterson could draw from that was that the killer had neither entered not exited through the garage. And if that was the case, how had he gotten in? There was no sign of forced entry. Also perplexing was the blood evidence found at the scene. A trail of blood did indeed lead along the escape route that Darlie had described the killer taking. The problem was that there were no footprints other than those made by Darlie’s bare feet. And then there were indications, found by the CSIs, that someone had cleaned up blood in the kitchen sink and also on a leather couch. Why? None of this added up and neither did the issue of the dog. The Routiers had a pet Pomeranian who a neighbor described as “yappy and highly suspicious of strangers.” Where, Patterson wondered, had this little guardian been when the intruder had entered the house? Why had he not raised the alarm and woken the Routiers?. There was only one possible answer that Patterson could think of. There had been no intruder. Someone in the house had done this. The following day, Patterson and Frosch showed up at the hospital to question Darlie Routier. This time she provided a more detailed description of what had happened and some of those details directly contradicted the statement she’d given previously. Earlier, she’d stated that it had been the weight of the man on top of her that had jarred her awake. Now she said that she’d awakened to Damon’s cries of “Mommy! Mommy!” as he tugged on her nightshirt. “I opened my eyes and felt a man get off me. I got up to chase after him. As I flipped on the light in the kitchen, I saw him open his hand and let the knife drop to the floor. Then he ran out through the garage. I went over and picked up the knife. I shouldn't have picked it up. I probably covered up his fingerprints. I shouldn't have picked it up. Routier went on to describe the man who had attacked her, saying that he was of medium-to-tall height, dressed all in black and wearing a baseball cap. That description was of little use to Patterson. Far more interesting was the information he was able to glean from questioning the nursing staff at the hospital. They told of a cold and distracted woman who showed no emotion even when visiting relatives broke down in tears. Several of the nurses also mentioned that Darlie appeared determined that everyone should know she’d handled the murder weapon. She mentioned it numerous times, admonishing herself for picking up the knife and thus erasing the killer’s fingerprints with her own. That, of course, didn’t amount to evidence but it was certainly suspicious. And Darlie’s odd behavior continued at her sons’ funeral. Whereas other family members and even neighbors were distraught with grief, she appeared strangely unmoved. Her relatives put it down to the Xanax she’d been prescribed and perhaps they were right. Who could really understand the emotional state of a mother who’d suffered such a devastating loss. And anyway, while the police may have had their suspicions, where was the motive? What possible reason could Darlie Routier have had for killing her children? There were no insurance policies, no bitter custody dispute. By all accounts, Darlie doted on her boys. Perhaps her background might yield some clue. The police started delving. Born in Altoona, Pennsylvania, on January 4, 1970, Darlie moved with her mother to Texas after her parents divorced and her mother married a man named Dennis Stahl. That marriage would also end in divorce but, by all accounts, Darlie had a happy childhood and blossomed into a pretty, blond-haired teen. She met her future husband, Darin Routier, while she was still in school and apparently it was love at first sight. They continued to correspond after Darin went away to college and picked up their relationship after he graduated. Shortly after, Darin was hired by a computer chip company in Dallas and Darlie moved there to be near him and soon landed a job with the same company. They were married in August of 1988. The couple began their life together in an apartment in Garland. Darin, however, had bigger dreams than working for a boss and living in rented accommodations. A year later, he rented a house in Rowlett and started his own computer company, Testnec, operating it out of his garage. It was a risk but one that would soon pay handsome dividends. It needed to. Darlie had just discovered that she was pregnant. The couple’s first child, Devon, was born on June 14, 1989 and was followed by his brother, Damon on February 19, 1991. By then, Darin’s company had grown to such an extent that he’d had to hire additional staff and rent office space. The money was rolling in and the Routiers indulged themselves by commissioning a two-story Georgian mansion in the upmarket suburb of Dalrock Heights on the shore of Lake Ray Hubbard. Darin also bought himself a 27-foot cabin cruiser while the family cruised the streets in a shiny new Jaguar. Life, it seemed, could not get any better. Darlie was by all accounts a good mother, doting on her children, making a big fuss of Christmas and Thanksgiving celebrations and throwing elaborate parties on their birthdays. But there was another side to her. Ever since her teens, friends and acquaintances had noticed a certain neediness. Darlie always had to be the center of attention and with the money now available to indulge her obsession she held little back. She spent a fortune on clothes and convinced Darin to pay for size EE breast implants, assets she put to use by wearing the skimpiest, most revealing outfits. Inevitably, this led to problems in her marriage with the couple sometimes arguing in public over Darlie’s flirting. Not that Darin was an angel either. Rumors abounded that both he and Darlie were having affairs. Unfortunately, in such an unhealthy situation it is always the children who are going to suffer. Neighbors complained that Damon and Devon, hardly past the toddler stage, were often left home alone. And more and more people were noticing that Darlie’s patience with her sons had become wafer thin. It was therefore a surprise to friends and family when Darlie announced early in 1995 that she was pregnant again. The Routiers’ third son, Drake, was born on October 18, 1995. His arrival only served to spin Darlie off into postpartum depression, characterized by extreme mood swings and frighteningly dark rages. To make matters worse, 1995 was also the year that the couple’s exorbitant spending started to catch up with them. Darin’s company was doing well, with a gross income of $264,000 for the tax year. But it was hardly a match for the millionaire lifestyle the couple was living. Soon they were turning to credit to keep up appearances. Then Darin began dipping into his business coffers with the inevitable fallout. Creditors began asking for payment and Testnec had no money to settle up. An application to his bank for a bridging loan of $5,000 was declined. Darlie Routier would never follow through on the threat to take her own life. But a month after she’d penned that poignant note, two of the sons to whom she had addressed it would be dead. Back at Rowlett Police Headquarters, Det. Patterson was still wrestling with the many questions surrounding the case. Some of those would soon be answered. First the medical examiner’s report on Darlie’s injuries was back. The cuts, according to the M.E. were “hesitation wounds” that is, they had been inflicted slowly and deliberately, with the person reflexively withdrawing the blade as soon as pain is experienced. This was quite different to the wounds the boys had suffered. There the knife had been forcefully plunged in, with intent to kill. Then there were the various forensic reports, most notably those regarding the screen and the mysteriously clean kitchen sink. The sink had shown a clear response to Luminol, meaning that it had definitely been washed clean of blood before the police arrived. By whom and why? Patterson thought he knew the answer. 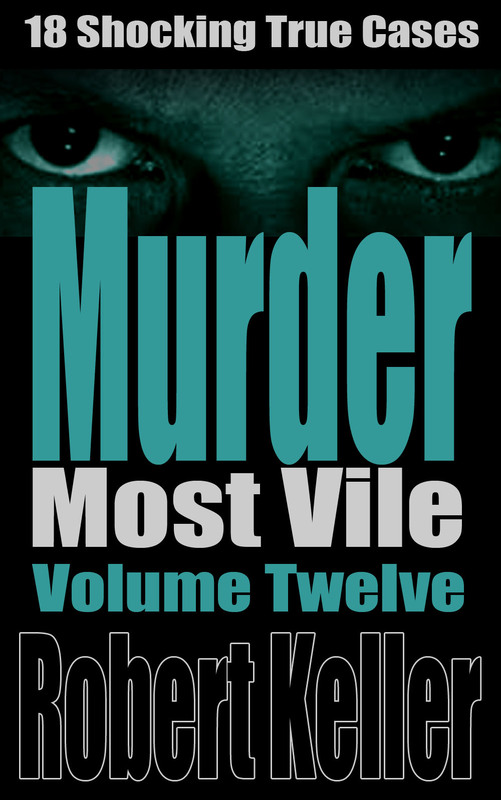 He believed that Darlie had inflicted her neck wound over the sink and had then rinsed away all traces of blood. The evidence regarding the damaged screen was even more conclusive. A set of knives found in the Routier residence had been subjected to forensic analysis and had returned some interesting results. On a breadknife, technicians found traces of metal and Teflon that were forensically matched to the screen. This knife then, had been used to make the cut. Were the police to believe that an intruder had removed the knife from a drawer, slashed the screen, and then returned the knife to its original place? No, it all went to back up Patterson’s theory that the intruder story was a lie concocted by the real killer. On January 18, 1997, Darlie Routier was arrested for the murder of her two sons. Routier was indicted on two counts of first degree murder on June 28, 1997, although the DA later opted to try her only for Damon’s murder, keeping the other charge in reserve, in the event of an acquittal. That, in truth, never seemed likely. Routier’s version of events was in direct conflict with the forensic evidence and in cases like that juries generally lean towards the forensics. 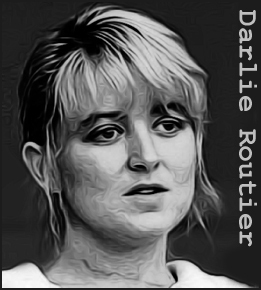 The best shot that the defense had was to dwell on the one thing to which the police did not have a definite answer, the fact that Darlie Routier had no motive. Except that that wasn’t exactly true. There was plenty of evidence that Darlie was the “self-centered, materialistic woman” that the prosecutor described her as; plenty of evidence that she had at times neglected her children and had on other occasions been openly hostile towards them. There was witness testimony, too, of her odd behavior on the night her children died, of her callous attitude and lack of grief. And that had continued at the boys’ funeral and beyond. One particular incident had involved a bizarre birthday party that Darlie had hosted at her sons’ gravesite, complete with cake and silly string. Darlie’s friends and family might have believed she was innocent, her attorney might have tried to prove it, but in the end, the evidence said different. That, at least, was how the jury ruled. But were they right? After the trial, two pieces of evidence emerged that might have resulted in a different outcome. One was a bloody fingerprint found on a counter top which did not come from either Darlie or Darin Routier; another was a child’s sock, discovered in an alleyway 75 yards from the crime scene. It was found to contain traces of both Devon and Darin’s blood. These perplexing clues might well cast doubt on the original conviction but they have not been deemed sufficient to gain a new trial for Darlie Routier. She remains incarcerated at the Mountain View Unit in Gatesville, Texas, awaiting her date with the executioner.